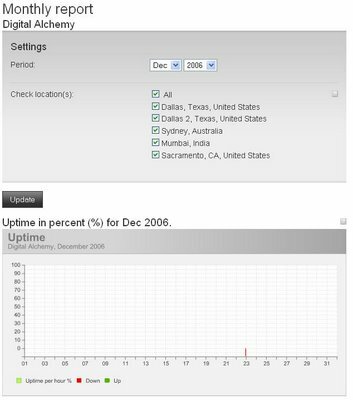 In the spirit of the holidays, Pingdom is offering free website monitoring for one year (normally $9.95 a month). 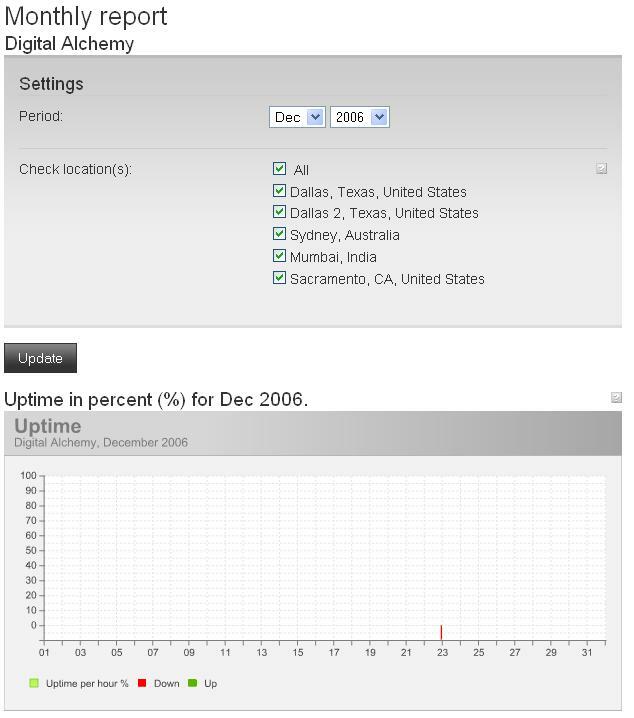 It checks whether your site is experiencing connection difficulties from multiple servers around the world (Dallas, Sacramento, Mumbai, and Sydney) so you can minimize downtime. Checks can be done as frequently as every minute. Notifications can be received via email or through 20 free SMS messages if you need to be notified on the go. The offer limits you to checking five websites, but for most users, that should be enough. There are also video tutorials that teach you how to add checks. Make sure to select Pingdom Full when you sign-up. You'll have to give some personal information, but not your credit card details. The offer expires in about 12 hours.